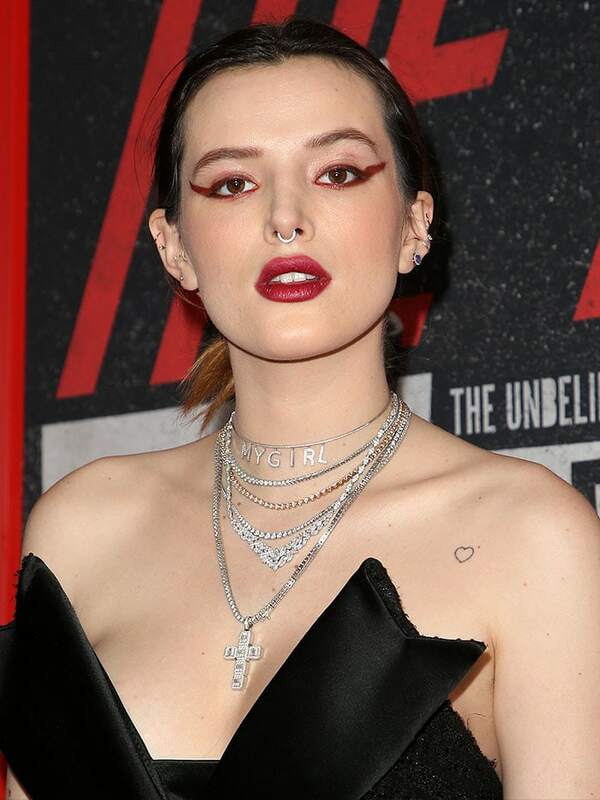 Bella Thorne attended the film premiere of “The Dirt” on Monday rocking one of the most aggressively winged red eyeliner we’ve ever seen. It was like the 21-year-old actress took a tube of lipstick and swiped thick lines along the sides of her dark brown eyes. Although Bella’s extreme makeup choice is something to be expected of the former Disney star, it was more about the movie premiere’s theme than her own personal style. Netflix’s upcoming film, “The Dirt,” is a musical comedy-drama that tells the biographical story of the glam-metal band Mötley Crüe. 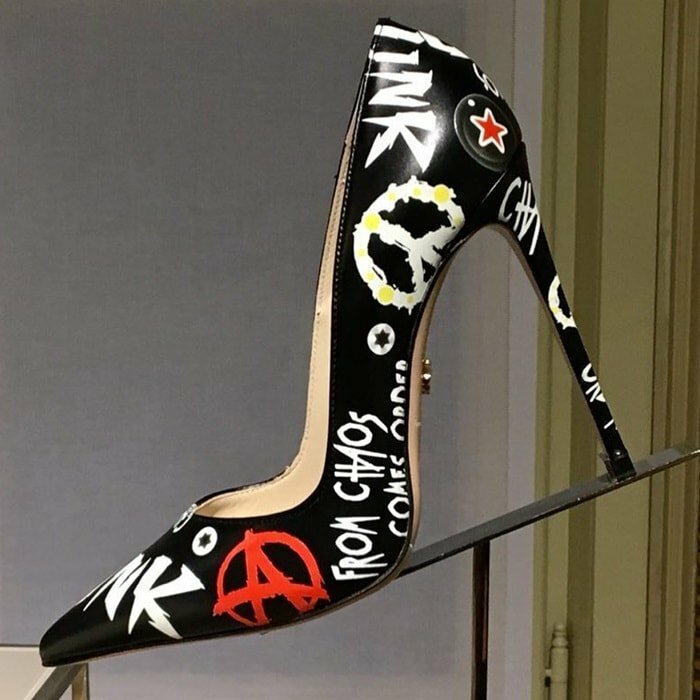 In keeping with the night’s rock chic dress code, Bella slipped sheer-stockinged hairy legs and feet into punk print pumps from Le Silla emblazoned with “punk,” “chaos,” and the circle-A anarchy symbol all over. The “Midnight Sun” actress wore a strapless LBD from The 2nd Skin Co. designed to look like a satin-lapeled, double-breasted coat. A studded leather jacket, which is de rigueur for punk rock fashion, completed Bella’s rebel chic look.